Category: Books, Self Help & Personal Development Tags: holistic, holistic medicine, personal development, practical wisdom, self-help, Spiritual Teachings, spirituality. Overcome Fear, Insecurity and Depression and Love Yourself Back to Happiness, Confidence and Peace. Simply, logically and from the heart, You Were Not Born To Suffer intimately guides you through the most challenging obstacles you face in your search for lasting peace, health, and happiness. 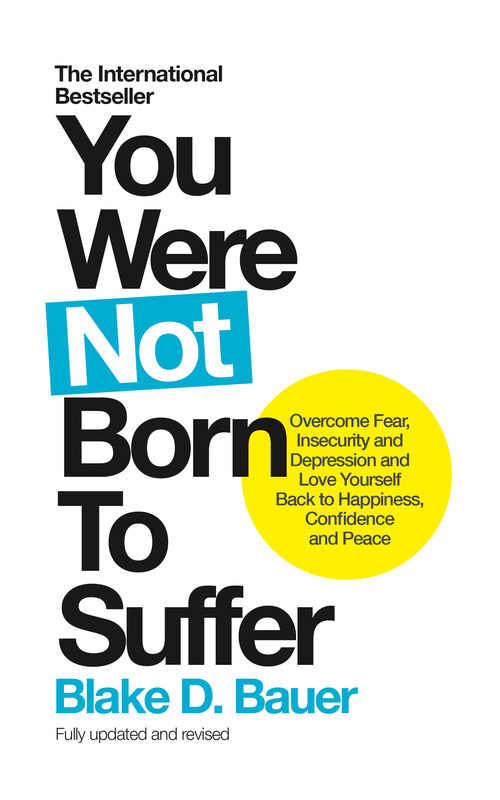 This book offers practical advice that will help you transform suffering, fear and insecurity in the present and find the strength and courage necessary to enjoy your life, fulfil your purpose and be true to yourself in every situation. You’ll discover why all depression, addiction and illnesses are simply cries asking you to stop pleasing others. These pages effectively outline how to relate to yourself with acceptance, honesty and compassion as the key to self-healing, self-confidence, self-worth and self-respect. Having already helped thousands of people around the world who could not find lasting solutions from conventional medicine, psychiatry, or religion, this book offers practical wisdom, synthesized from various spiritual and medical traditions, that goes straight to the heart of our deepest wounds, needs, desires, and dreams. Once there, it inspires understanding, forgiveness and clarity in the places that are universally the most difficult to transform. It also clarifies how to effectively direct your thoughts, words, and actions toward creating an authentic life, free from guilt, self-pity, and regret. If you’re tired of settling for crumbs of love, health, happiness, connection or peace, this book offers the answers you’ve been waiting for. Blake D. Bauer is a contemporary spiritual teacher, counselor, and alternative medicine practitioner who speaks internationally. He is considered by many to be a modern meditation and qigong master. Sharing what he’s found to be the most effective spiritual practices and holistic approaches to health and wellbeing, his work has successfully helped thousands of people around the world find greater happiness, peace and freedom in mind and body. The author lives in Los Angeles. USA.